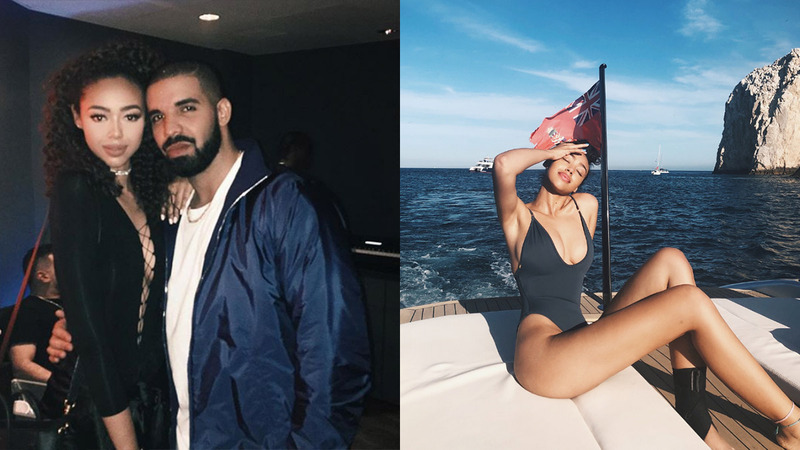 Who Is Drake's New 18-Year-Old Model Girlfriend? It sure looks like Drake doesn't care if Keke loves him or not anymore. The Canadian rapper has moved on to Bella Harris. Is this according to God's plan? Get it? Good. Fans first linked Bella to Drake after she was spotted at multiple shows during the Canadian rapper's recent and previous tours. And yes, she's just 18, making Drake 13 years her senior at 31 years old. Now if you know her already because of her modeling work, that's just the tip of the iceberg. She's got connections in Hollywood and the music industry as well. She even worked for one of Drake's exes! Here's what we know so far about the gorgeous Bella Harris. And we don't mean last year, we mean this year, like two months ago. Being the daughter of Jimmy Jam of the iconic producer duo Jimmy Jam and Terry Lewis is a pretty big deal, even today. See, you gain free access to the 2018 Grammys. The most notable work of the duo was with, of course, Janet Jackson. Maybe they can help produce Drake's next album? This photo was uploaded by Bella back in 2016 after Drake's Revenge Tour. Then she also uploaded a photo congratulating the hip-hop superstar's wins at the 2016 American Music Awards. But a lot of fans are enraged at this newly-formed couple, mostly because of Drake's past "entanglements" with women. Comments ranged from "Don't let that fuckboy break your heart" to "Make sure he puts a ring on it." While others hated, some of her fans flocked to her defense, and we definitely agree with them. Bella is damn gorgeous. No guy in their right mind would turn down the chance to spend time with her, let alone be with her, period.